VoIP Caller for Business: 6 Reasons Why It Makes Sense for You! It’s no secret that the Internet has revolutionized the way modern business is executed. E-commerce, online chats, social media, e-mail communications, and other online services and opportunities have streamlined the way work is done and increased the reach of business communications of all kinds. But does that mean that there’s no need for “old-fashioned” methods of communicating with customers? Is there still a place for voice calls in today’s online culture? Or have phone calls modernized, too? Voice-to-voice conversations with prospective customers are certainly an important part of business, and Voice over Internet Protocol (VoIP) is today’s way to make them happen. A VoIP caller for business allows your sales and/or customer service team to make phone calls – local, long distance, mobile and international – from desk phones, computers, mobile phones, or tablets. This contemporary technology has become the standard for businesses, and utilizes a broadband Internet connection to make voice calls, rather than using a regular phone line. 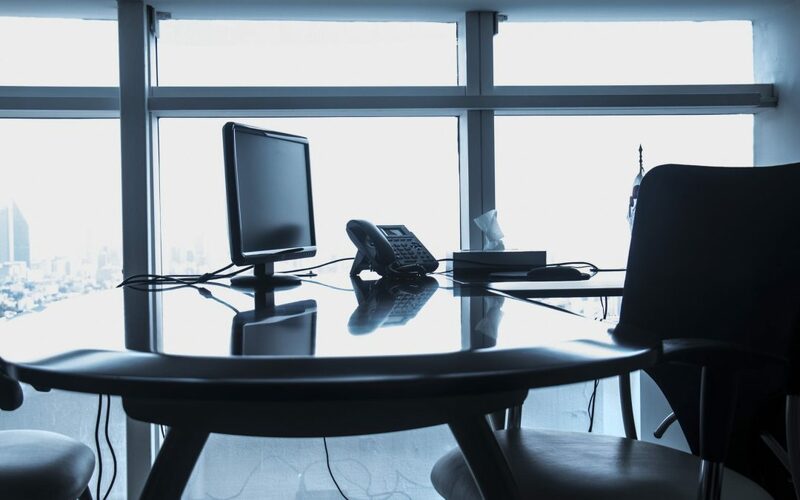 The service, of course, requires access to broadband, high speed Internet connection, whether via a cable modem, DSL, or local area network, but it means that you’re no longer strapped to a hardline desk phone in a single location! How Can VoIP Caller Help Me? VoIP systems, like the one available from Call Logic, maintain the same experience for the receiver of the call – the phone rings and they answer. While VoIP callers can still utilize features such as leaving voicemails, putting someone on hold, forwarding calls, and more, the benefits of a VoIP caller system behind the scenes make a huge difference. Recent studies show that using VoIP caller for business can save you up to 40% on local calls and save up to a staggering 90% on international calls! Whether you are one office making calls, or whether you have various people or multiple offices making outbound calls, you can help protect your bottom line by cutting communications costs. What other important areas could you redirect those dollars towards to advance your business’s success? The assisted outbound dialing almost adds time to your day. Instead of wasting time manually dialing numbers – some productive, some not – a VoIP caller for business, like Call Logic’s, can make 90 phone calls per hour for you and leave up to 12 voicemails per hour for you. When you eliminate the minutes spent dialing and leaving messages, you will have more time to speak with potential customers. When you can hand the hassle of leaving voicemails or waiting on calls that ring but never connect, to a VoIP caller, you are able to focus your time and attention on calls that matter – the ones that allow you to speak to someone who may need to hear what you’re about to say! More connections mean more sales. More sales is a good thing. Whether you are a large company or a small business, customers have increasingly high expectations of your level of service. Keeping up with today’s technology is typically the fastest and most effective solution to meeting the standard. When a VoIP caller for business connects with a potential customer, you need to be able to connect with the voice on the other line as a person, not as just a phone number on a list. Using a VoIP software, you will be able to see the name of the individual your call connected to, their location, their history of previous communications, and their disposition at the end of those communications. This information – tailored to the person on the other end of the line – allows you to make them feel remembered, cared for, and important. Using a quality VoIP caller for business means that you’ll have the efficiency and reliability that you need to do your job well. Customer service representatives will be able to utilize the multi-functional benefit of a strong phone connection while also being able to access the Internet or company network. This allows customer questions to be answered quickly and accurately, and for inquiries to be directed to the right person, right away. When you are able to provide your customers with a seamless and professional experience, they are more likely to trust your brand and believe in your ability to meet their needs. Call Logic’s VoIP caller for business offers a feature that allows a manager to quietly join in to outgoing calls. This is a helpful tool for bringing new employees up to speed or giving them the support they need, right when they need it. The feature can be used by the trainer without the knowledge of the agent making the call or the client receiving the call. Or, the agent and trainer can use the feature to communicate with questions and answers without the caller hearing the conversation. This is a great way for customers to receive immediate answers without having to deal with a transfer or hold, and for agents to learn in-the moment, on-the-job. Bonus Reasons Why VoIP Caller for Business is for You! Getting professional options, such as conference calling, auto dialing, specific area code selections, voice mail, caller ID, call waiting, customized caller queues, etc. To learn more about how the affordable Call Logic VoIP for business makes sense for you, schedule a FREE DEMO today!